BIM is the rather grand term for the process of managing information about a project throughout its life-cycle via a 3D model. And there’s a lot of data about a project whether you’re talking geometry, the hundreds if not thousands of products used on the build, the quantities involved and associated wastage (and packaging! ), cost, product thermal performance and the build program. Countless decisions have to be made in order to bring a project to the planning stage, (let alone built!) by numerous members of the project team. Whether you’re interested in the grand BIM plan or not, you can’t really argue with the overall benefits practical Building Information Management can bring you – lower project costs and faster build times through the sharing of information and the improved efficiencies it can deliver. When you work on a shared project file there’s less duplication of effort, fewer mistakes and a more coherent approach…and dare we say it reduce the number of people and/or disciplines involved. A solution like BuildingWorks allows users to save project files to the Cloud which means that you can work on (or simply access) the project remotely from multiple devices, in different locations. The BuildingWorks project file includes the plan, 3D model and specification, build program, BoQ, schedules and so forth. It comes with a building product rich database so everything you need to know about your projects is at your fingertips. This is really handy even if you’re working standalone or as part of a connected construction team. Furthermore, BuildingWorks genuinely saves time by avoiding data re-entry. By designing, specifying and estimating simultaneously, not only are you saving time but you are cutting out unnecessary steps and possibly headcount, which in turn saves you money. Assuming you are not all in one, you are still likely to want involvement of different disciplines at different times. You may have a designer who passes the building plans and model to the estimator who reviews the specification. Passing the file to site manager who reviews build program, whilst working on pre-Construction Phase info and Construction Phase Plan. With BuildingWorks the project file can be passed between members to review, make amends and annotate the file. It becomes a living, breathing organic project file. Reduce the costs of alterations and rework. Think of every change you need to make to the design throughout the design stage – this has a cascading effect on the project cost and schedule of materials and Gantt chart…just think if every time you made a change to the plan you had to pay for the changes to the BoQ and to the schedule…not only does BuildingWorks save you redraw costs, it saves you re-estimating and re-scheduling costs too from concept to completion. 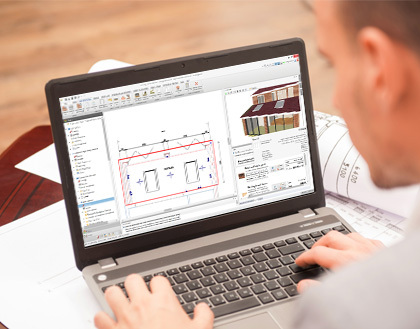 As you draft your plan BuildingWorks simultaneously produces a 3D model, costs and schedules your resources. Draft a wall, it’s costed and scheduled it and planned it on the build program. Click on the wall on the 3D model. It will tell you all about what’s made of, and its associated costs and energy performance. The “Shareable” pack & go files mean you can send your BuildingWorks files to colleagues for review and amends throughout the evolution of the project if they subscribe to BuildingWorks. You can also save BuildingWorks files to the cloud including Dropbox, Microsoft One Drive and Google Drive. So you or team members can access BuildingWorks files from anywhere and collaborate with you on them. 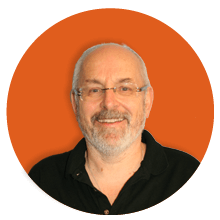 Allowing you to review the plan and the specification, or to enter subcontract or supplier quotes…or for the site manager to review the Gantt chart…or for the health and safety officer to see what stage the build program is at and the documents required. Want to know more about BuildingWorks? Give us a call on 0117 916 7880. Tell us about your building firm. And we’ll talk you through how BuildingWorks BIM software can improve your building projects through collaboration and coordination.